-- Select a Size/Color -- Purple Teal - Out of Stock! 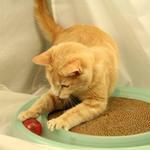 Pamper your feline friend with this innovative and interactive cat game from Bergan! 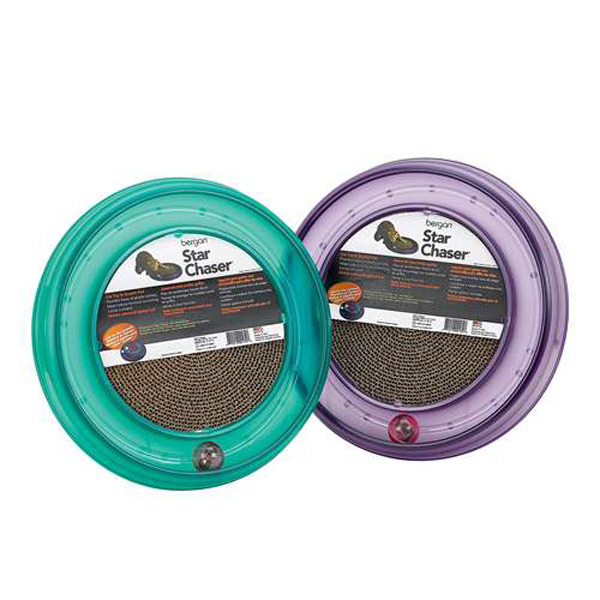 The Starchaser Cat Toy is a sleek toy that will give hours of fun and exercise to your cat. The scratch pad will help reduce furniture damage and the motion activated LED ball and catnip will keep your cat entertained for hours on end. Made in the USA. Starchaser Cat Toy Customer Photos - Send us your photo! Boo says, "Your kitty will love this!" Paws down, this is one of Boo's favorite toys! Baxter Boo provides a wide range of products for my pet. Sales and other incentives makes for a better experience.